I received a copy of this book as a part of Lola’s Blog Tours in exchange for an honest review. I hate writing reviews for books I don’t enjoy. The number one rule of reviewing is to always be honest with your opinions and I brutally am. You only need to see my review of The Murder Complex to know that I will really tear into a book if I don’t like it — even if it’s a big favourite among the book community. As The Murder Complex was completely my own purchase and mistake, I had no qualms in ranting about why I didn’t like it. However, when you’re gifted a free copy of the book it’s hard not feel a little guilty at saying you disliked it. But I am and always will be a book blogger who stays true to her word and as it happens, I wasn’t a big fan of Mayra Calvani’s The Luthier’s Apprentice. Published last year, The Luthier’s Apprentice is the first book in Calvani’s Violinist Detective Series. Sounds intriguing, right? Unfortunately, that’s where the intrigue stops. I greatly enjoy mystery books and the plot to this one definitely peaked my interest. But around sixty pages in I realised that this was perhaps not the book for me. There are probably many out there who loved it and will easily give it five stars. It’ll appeal to more musically inclined book readers or Sherlock fans as there are a few references to the famous detective in there. Despite this, our heroin or ‘violinist detective’ isn’t a patch on Holmes. The book itself is a short read at about 188 pages as an e-book. I was very close to adding this one to the did-not-finish shelf and I’ll admit that I did skim my way through towards the end because I did get bored. My problem was that it was all a little bit rushed. 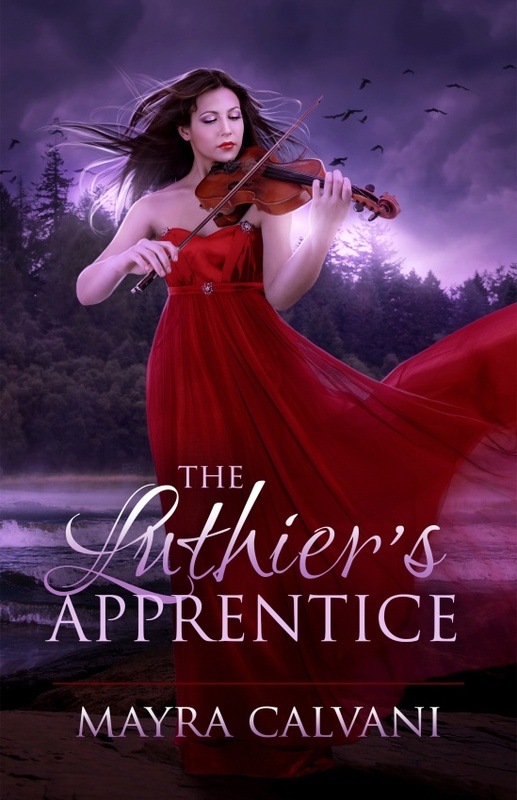 Fast paced books can be excellent, but in The Luthier’s Apprentice the action was advancing too fast without really establishing the characters and allowing us to connect with them. Arguably, the characters were a bit flat but what really became tiresome was having information thrown at us without much development. I’m not going to lie, it could have been better than what it was. The concept is truly interesting, but it was the execution that let me down which is why it’s highly unlikely that I will be picking up the second book in Mayra Calvani’s Violinist Detective Series. Nevertheless, I’d probably recommend this for younger teens who enjoy quick reads and perhaps music lovers who can appreciate all the references. Next Post Happy Birthday, Mum!